Early this year (is it still early?) 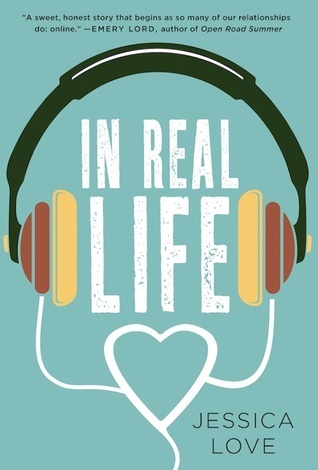 I got the opportunity to read an ARC of In Real Life, which is a SUPER CUTE novel about friends who have only ever spoken to each other online and never really met. Until Hannah decides to do something impulsive, and drives all the way to Vegas with her sister and her best friend to meet him. Of course, (UNLESS YOU'RE A BOOKWORM) most people on the internet aren't all they say they are, right? So, when Jessica Love agreed to come over to ATWAMB, I was SO super excited. 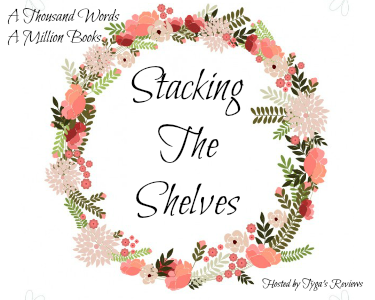 She's done a super sweet Stacking The Shelves Post, and I hope you love her shelves as much as I do! Don't forget to enter the giveaway. So I've really had to go through my bookshelves and clean, organize, and donate anything that I don't NEED to have. That leaves me with four shelves of books in my house. Shelf one, the adult shelf. It's not JUST adult. My Harry Potter collection (hardcovers, paperback box set, and foreign editions) takes up most of the top. But the rest is adult books, plays, classics, non-fiction..you know, the boring stuff. Shelf two, the YA shelf. This is the fun one, and this is the shelf with the books I actually read and re-read. A lot of these are signed, and as you can see, I ran out of room and things are starting to pile up. I need to do another destash, but I don't want to get rid of any of these! Luckily, I'm a teacher, so I just put anything I can't keep here into my classroom library for my students to read. Shelf three, the writing shelf. This small shelf is where I keep all my writing books. This is where I go when I can't figure out what to do during a tricky revision or I need some writing inspiration. Shelf four, the friend shelf. The coolest thing about being an author is watching your friends go from struggling writer to published author. This shelf is where I keep all of my good friends who have traveled this crazy writing journey with me. This is the shelf that makes me the happiest. Jessica Love the author of IN REAL LIFE and the co-author of PUSH GIRL, both from St. Martin's. She is a high school English teacher who lives in Southern California with her husband, her son, and their two tiny dogs. She's working on her Master's Degree in Writing for Children and Young Adults from Spalding University, and her big love is contemporary YA romance. 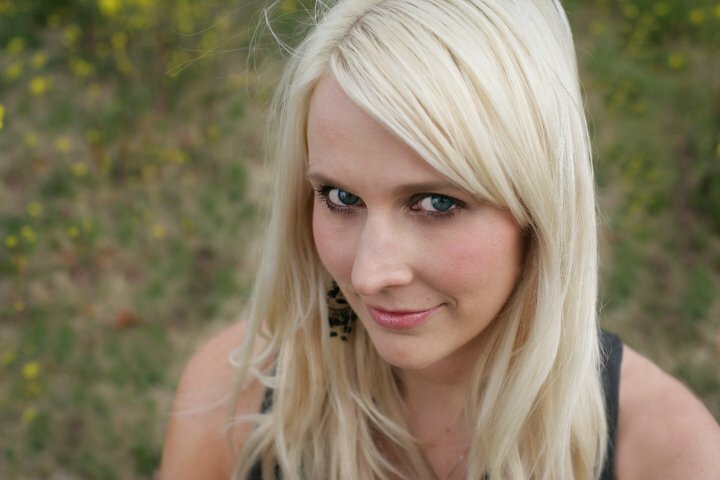 Jessica spends all of her free money on concerts, constantly tries to prove that blondes have more fun, and is pretty much always on the internet. There's just one problem: Hannah and Nick have never actually met. Hannah has spent her entire life doing what she's supposed to, but when her senior year spring break plans get ruined by a rule-breaker, she decides to break a rule or two herself. She impulsively decides to road trip to Las Vegas, her older sister and BFF in tow, to surprise Nick and finally declare her more-than-friend feelings for him. Hannah's surprise romantic gesture backfires when she gets to Vegas and finds out that Nick has been keeping some major secrets. Hannah knows the real Nick can't be that different from the online Nick she knows and loves, but now she only has night in Sin City to figure out what her feelings for Nick really are, all while discovering how life can change when you break the rules every now and then.